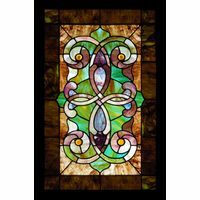 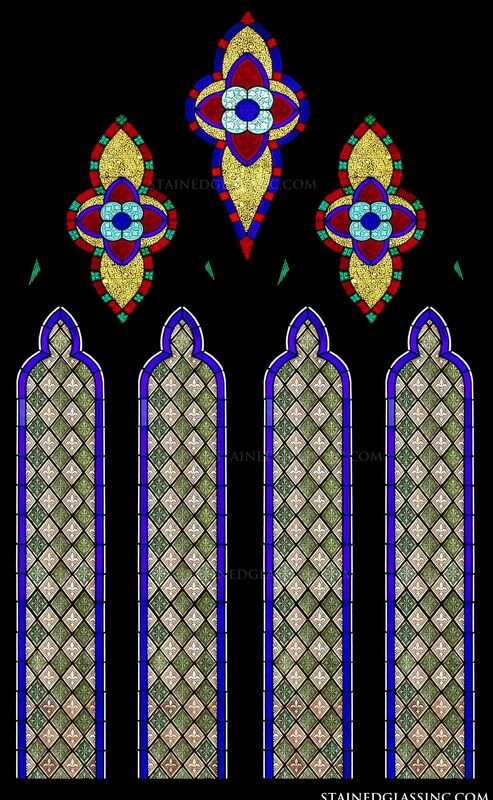 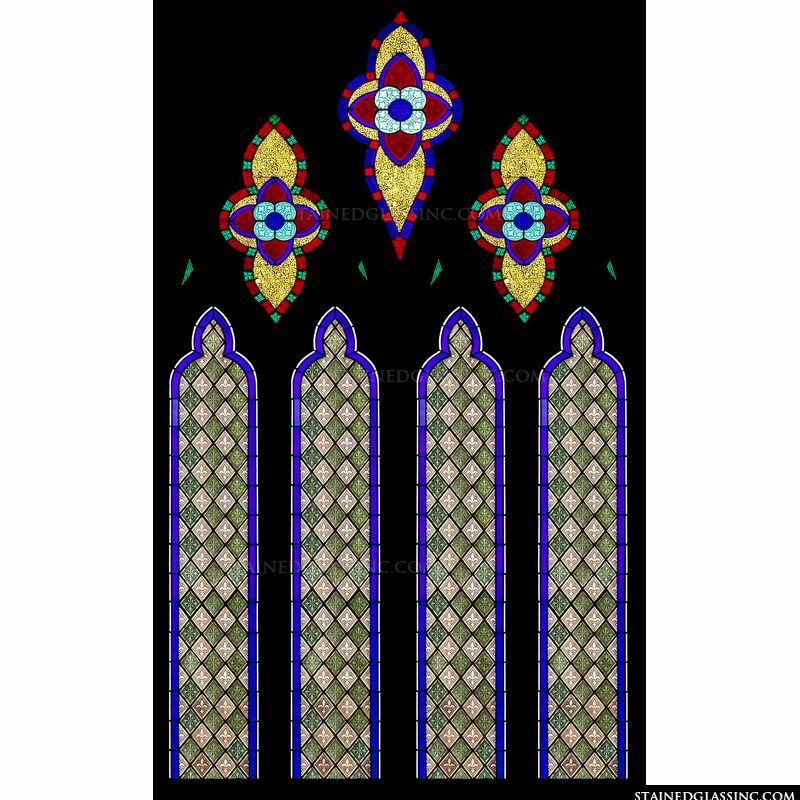 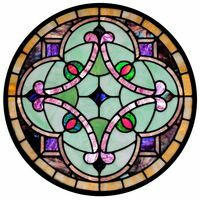 Different patterns including a floral design and fleur de lis arrangement make up this beautiful compilation of stained glass panels. 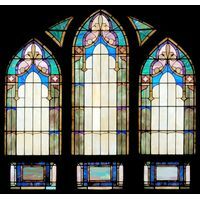 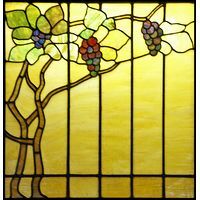 Imagine this beautiful stained glass in a resort, casino, restaurant or specialty shop. 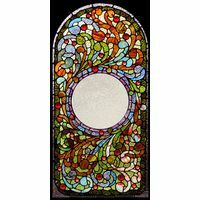 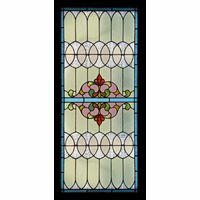 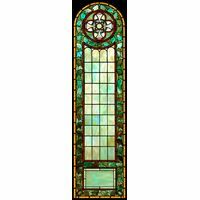 Conventional in proportion and detail, this stained glass insert adds charm to any space.